I encourage readers to practice sounding out the names. But I know nerves can get the best of anyone. So, even if you’ve rehearsed 1,000 times, when you get in front of the church, that can go out the window. My advice? Don’t make a big deal. If you mispronounce a name, who is going to know? Actually, who is going to care? 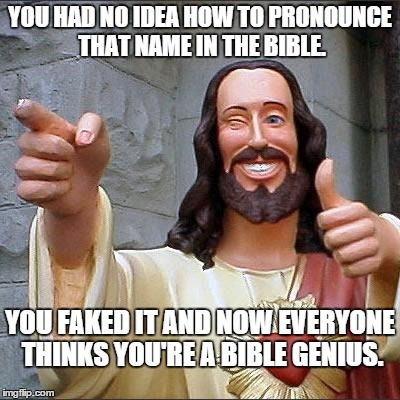 Any tips on getting through hard-to-pronounce names/word in the Bible?